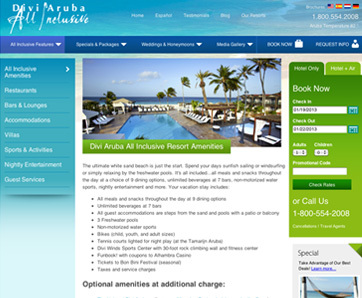 The Divi Aruba All Inclusive Resort required a complete website makeover to support their new brand identity and better position themselves in the competitive Caribbean resort travel market. The project was conducted in conjunction with a comprehensive SEO campaign to attract target visitors online. 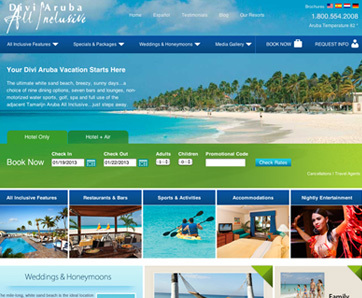 The project resulted in measurable improvements in website traffic, and reinforced the Divi’s reputation as Aruba’s premier all-inclusive resort.